Explanation: Comet dust rained down on planet Earth last week, streaking through dark skies in the annual Perseid meteor shower. So, while enjoying the anticipated space weather, astronomer Fred Bruenjes recorded a series of many 30 second long exposures spanning about six hours on the night of August 11/12 using a wide angle lens. 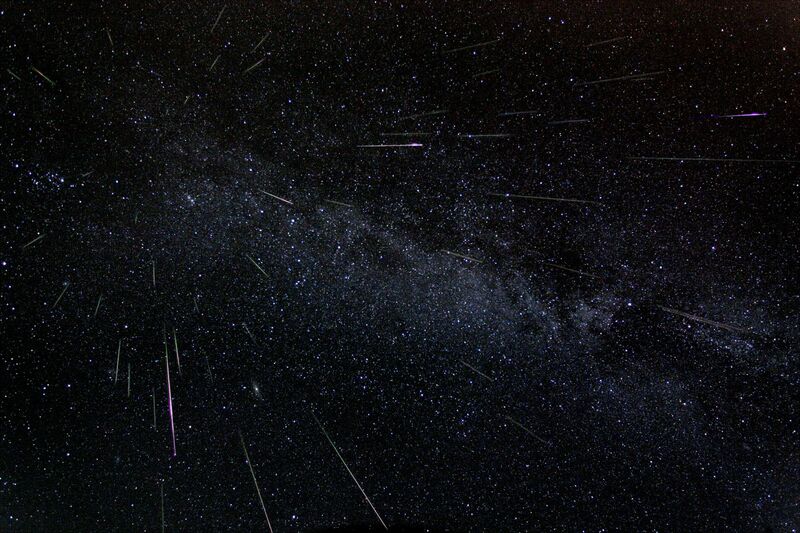 Combining those frames which captured meteor flashes, he produced this dramatic view of the Perseids of summer. Although the comet dust particles are traveling parallel to each other, the resulting shower meteors clearly seem to radiate from a single point on the sky in the eponymous constellation Perseus. The radiant effect is due to perspective, as the parallel tracks appear to converge at a distance. 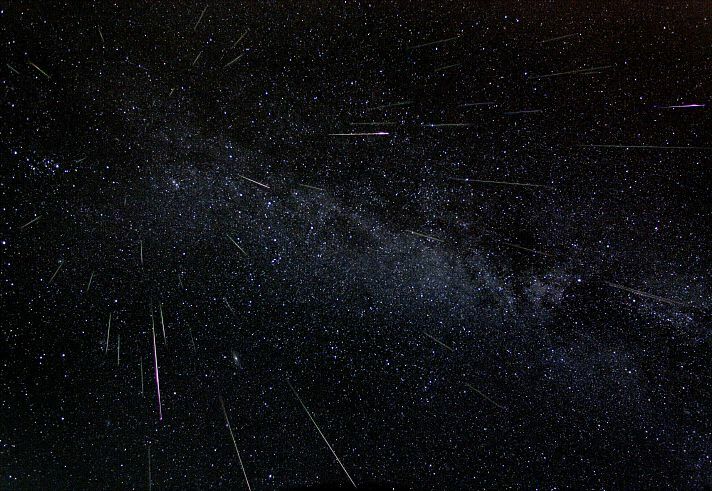 Bruenjes notes that there are 51 Perseid meteors in the composite image, including one seen nearly head-on.